Jane Breskin Zalben began drawing at the age of five. Born in New York City, her mother encouraged her daughter’s artistic talent by taking her for weekly art lessons at the Metropolitan Museum of Art. Jane’s father called her drawings “love pictures.” In the second grade, Jane began to explore her gift for writing by composing poetry for the class newspaper. She went on to receive a B.A. in art from Queens College and studied lithography at the Pratt Graphics Center. 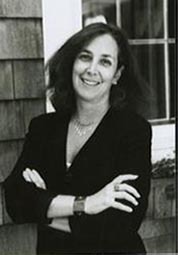 It is no wonder that today Jane Breskin Zalben is a well-known author and illustrator who has published over fifty books for young readers. She currently lives on Long Island with her husband, Steven.